Potatoes usually take quite a bit of ground space to grow, which is why many urban gardeners steer clear of growing them. Now it is possible to grow potatoes at home with just a small footprint of ground to work with, and the yield may even be bigger than it would have otherwise been. By growing potatoes in a vertical direction, a process commonly referred to as a “potato condo” or “potato tower”, you don’t need a large piece of real estate to get those tasty tubers growing like crazy. Exactly how it works depends on the method you choose to employ. The folks at Sunset made a tower using bamboo shade screen from a home improvement store wrapped around a large tomato cage. My friends who first introduced me to the process use a 2’ x 2’ frame setup built entirely of 2x4s. Once you have the tower construction method in mind, the process is fairly similar from that point forward. Begin by placing good quality seed potatoes a few inches apart inside the tower. Cover the potatoes with a few inches of good quality compost-amended soil, followed by a layer of clean hay (that is, hay without seeds in it). 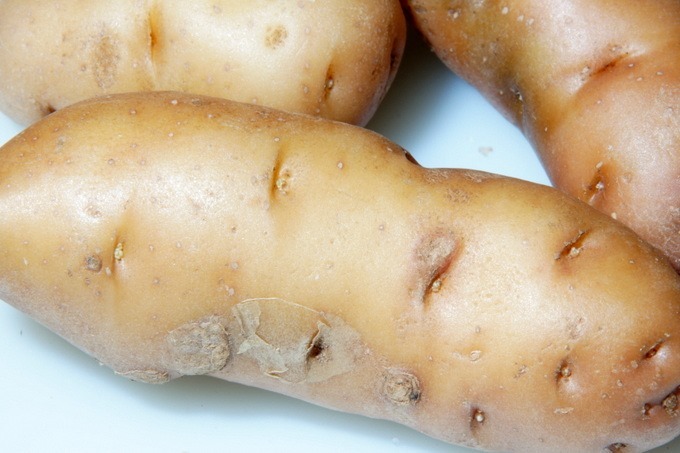 Water your potatoes well and make sure they receive adequate water to keep the soil moist but not wet. As the plants begin to grow, add additional soil and hay or shredded leaves leaving only 2 – 3 inches of plant exposed. Continue this process until the potato plant grows beyond the potato tower. Continue regular watering as the plant flowers and until it begins to turn brown and die. Once the plants have died off, it is advisable to wait a couple of weeks for the potato skins to harden. This will increase their shelf life. While growing this way will benefit anyone with limited space, the real plus comes at harvest time. All you have to do is remove the tower and collect the potatoes! No digging and risk of damaging your potatoes! Previous post: Reader Question: Cold Weather Composting – Is it possible?